Awful Awful Burger at the Little Nugget Diner in Reno is awful big and awful good! Tucked away at the very back of an old 1960s casino on Reno's main strip is the Little Nugget Diner. Hold your breath past all the cigarette smoke in the casino, and don't look too closely at the decades-old carpet, but your reward will be one of the best burgers you've ever had. Why is it called the Awful Awful? Because it's awful big and awful good! 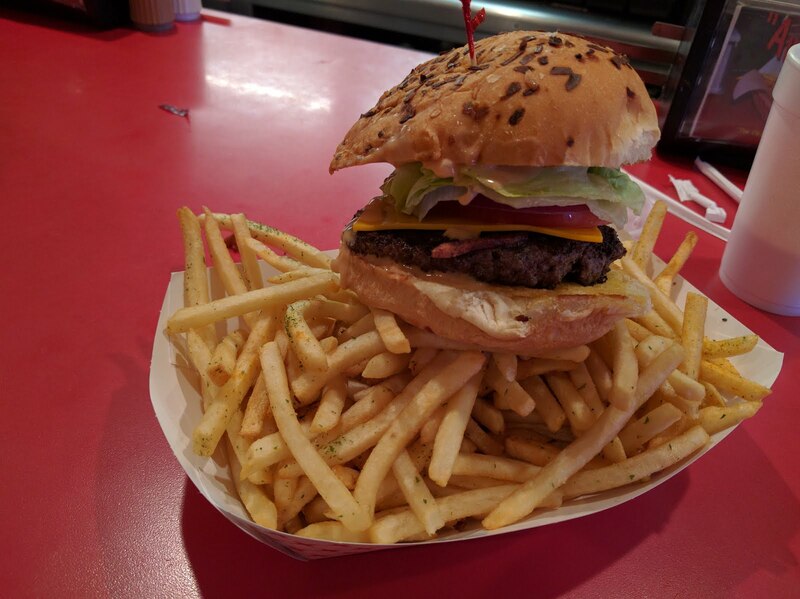 It's half a pound, and served over a full pound of fries. My daughter tried the chili burger and declared it was delicious. The chili was excellent and went well with both the burger and the fries. Don't miss out on the Nugget's shakes, either. 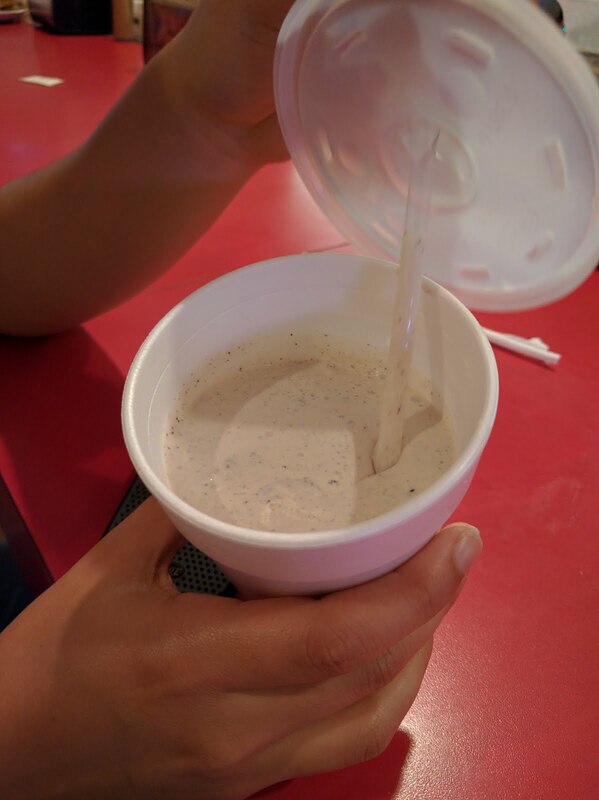 I had the Oreo shake which was very thick and delicious. And you get a second helping, too! 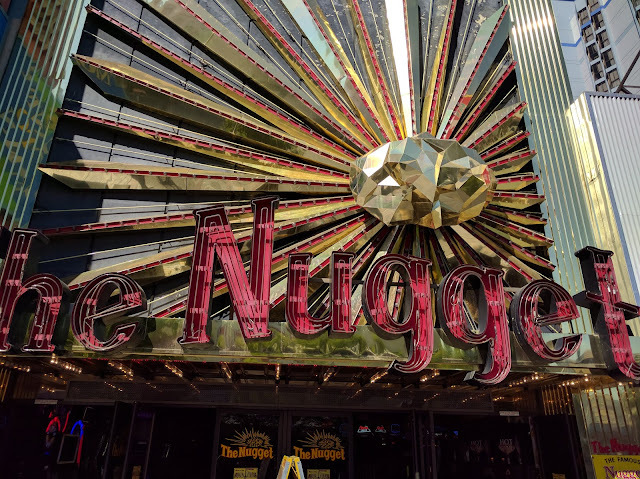 My first visit to the Nugget diner was a couple of years ago, and while the burger itself tastes just as good now as it did then, there have been some changes. The bun used to be much wider, and so was the hamburger patty. So when you got your hamburger, it looked a lot bigger. Like I said, it tastes just as good, but it made for a better photo op before they changed it. The diner is open 24 hours a day so it's easy to get your burger anytime. 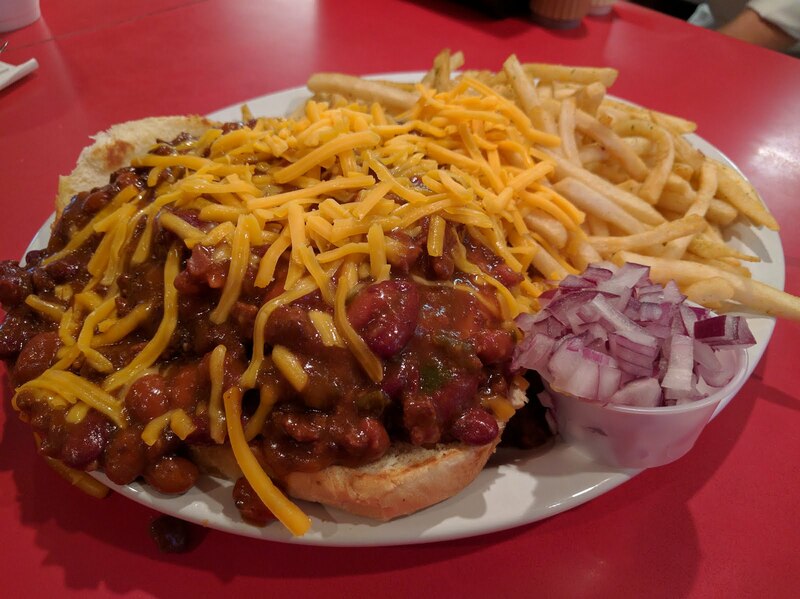 And there's plenty of other things on the menu, too, including chili and breakfast items. As seen on Awful Awful Burger at Nugget Diner on Food Wars and while the Little Nugget's version didn't win, it's still awful, awful good! 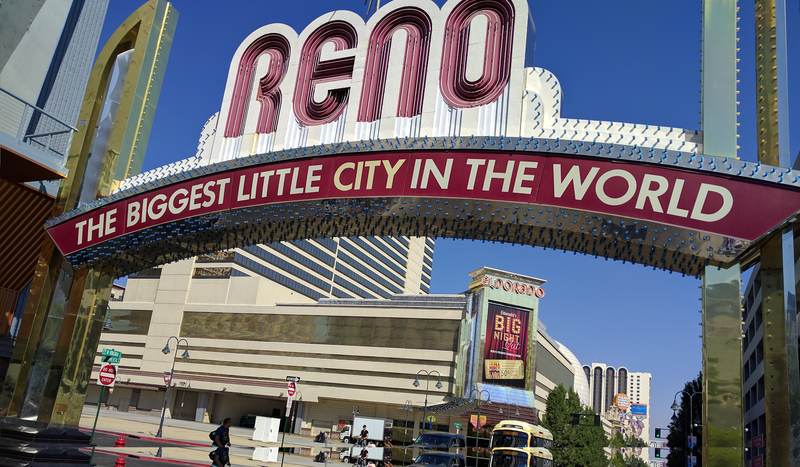 Check out their menu at Little Nugget Diner in Reno menu.